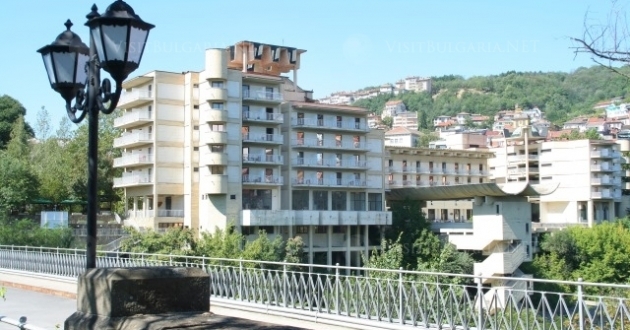 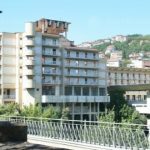 Location: Grand hotel Veliko Tarnovo is situated in the center of the town and offers a great view over the Yantra River and the Old Town. 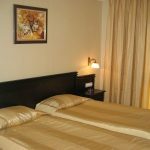 Accommodation: The hotel offers a total of 35 single rooms, 145 double rooms and a presidential suite. 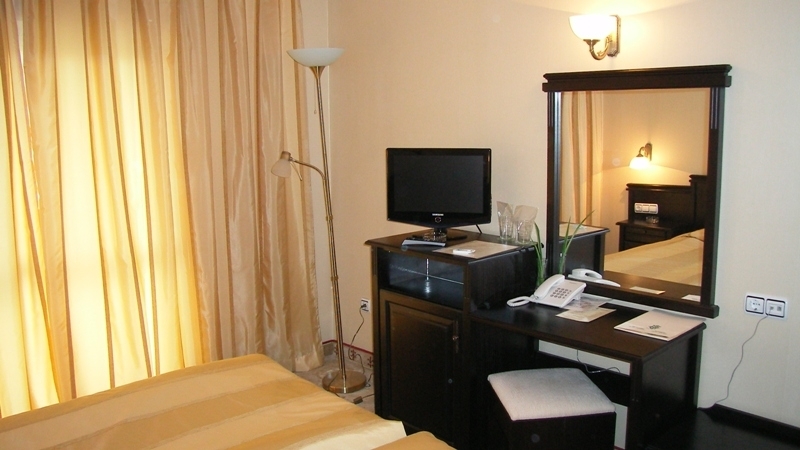 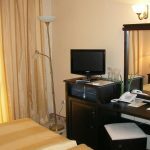 All rooms are comfortably equipped with WC- bathroom, satellite TV and phone. 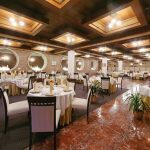 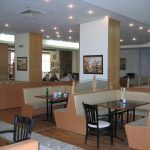 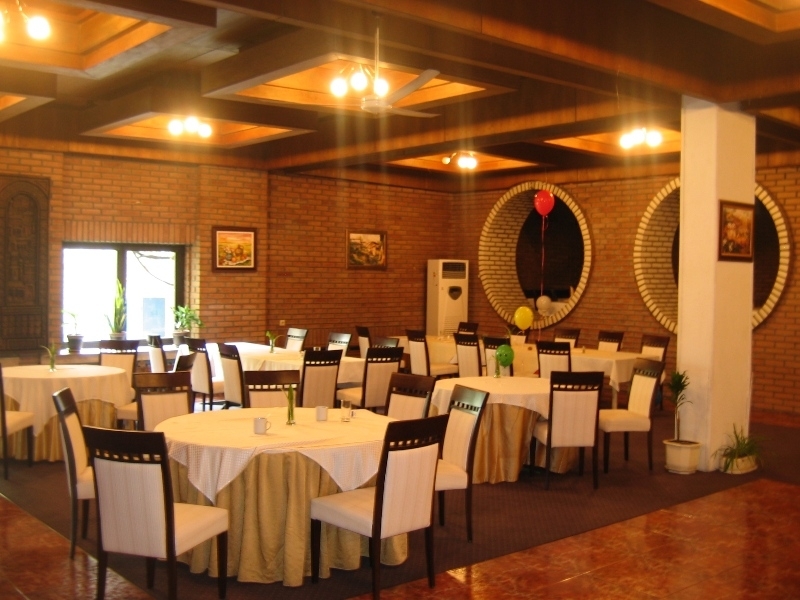 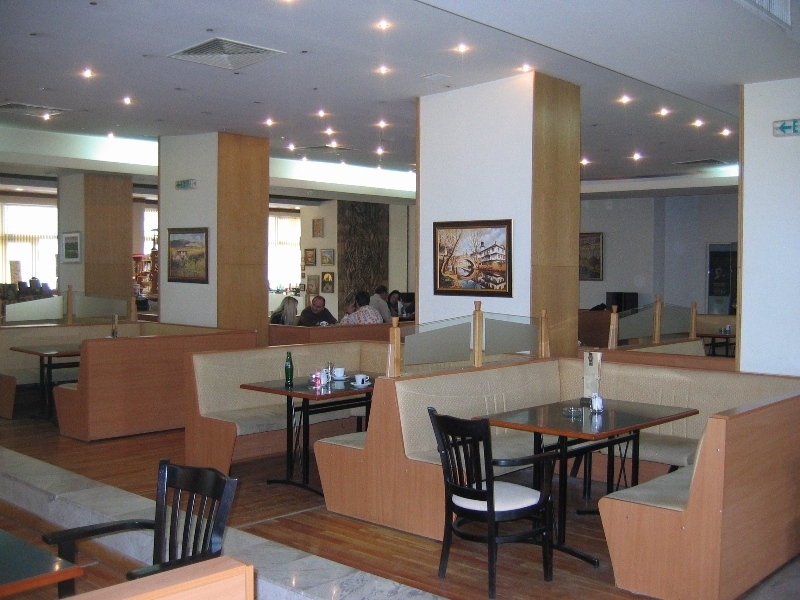 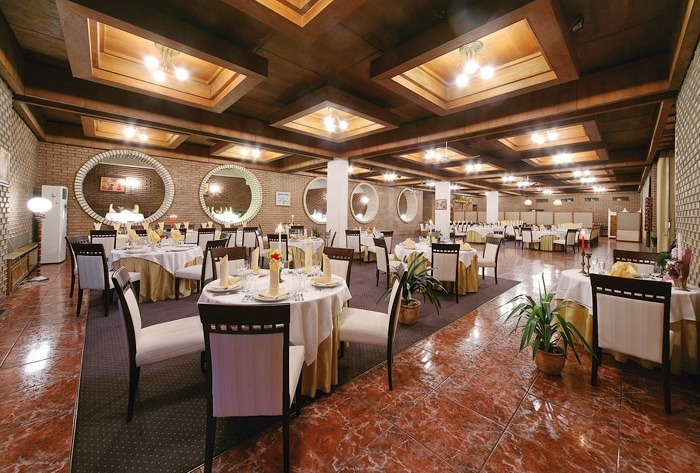 Food: Tsarevets restaurant with up to 220 seats and Pliska restaurant with up to 100 seats. 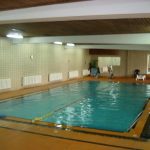 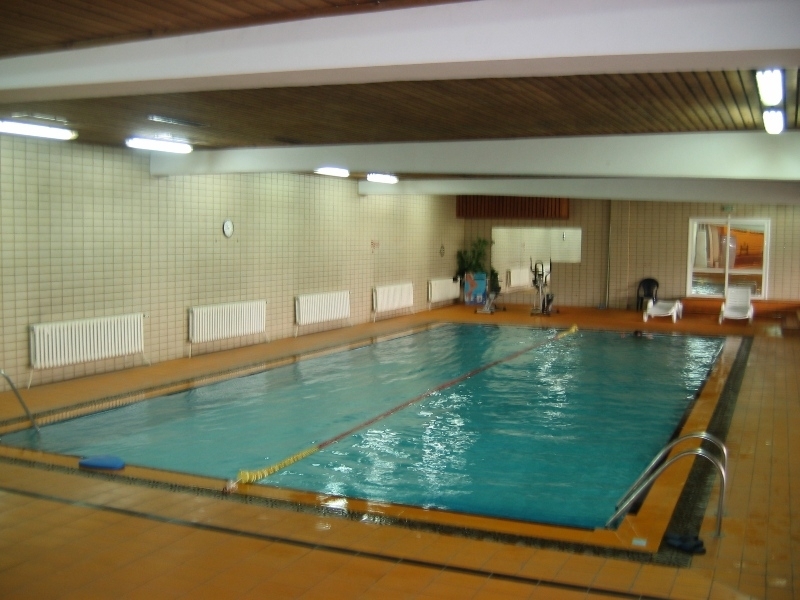 Sports and facilities: Sports center with indoors swimming pool, 2 saunas, solarium, fitness center and massage center. 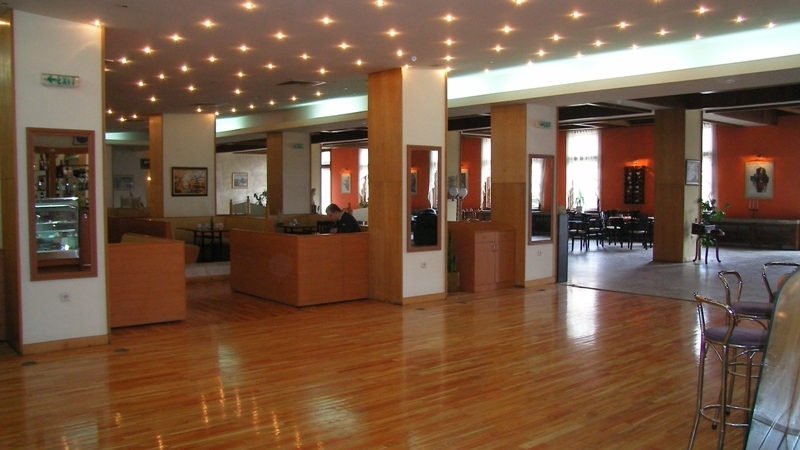 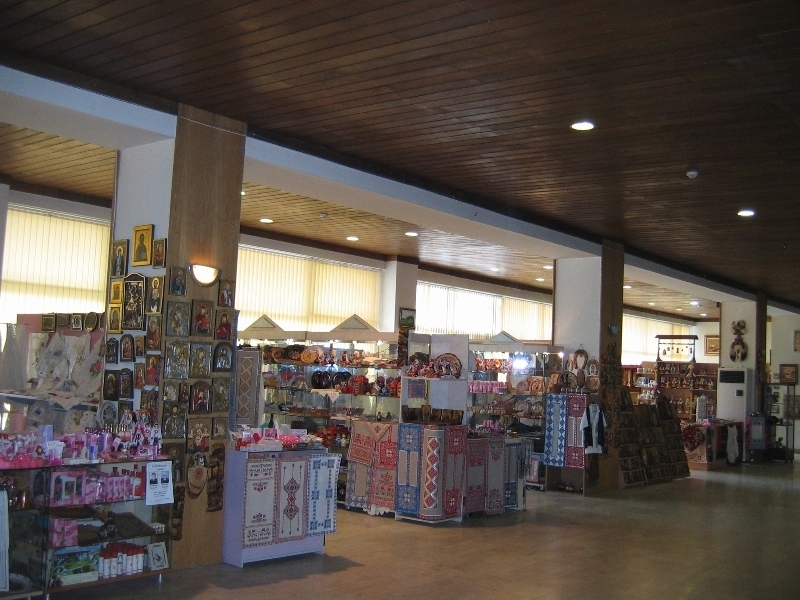 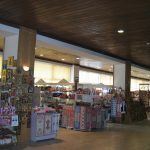 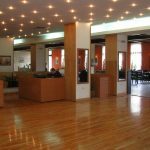 Other services: Four conference halls, shops and a hairdresser.